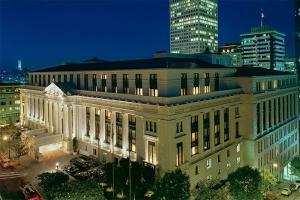 Surround yourself in timeless style and urban sophistication at the award-winning Ritz-Carlton San Francisco. With a scenic setting on Nob Hill, the hotel puts you within easy reach of the city’s diverse cultural experiences while surrounding you with an air of tranquil well-being. Designed in muted tones and stylish accents, 336 luxurious guest rooms and suites capture the essence of the city. For an elevated experience and enhanced services, upgrade to a Club Level room. The Club Lounge redefines the luxury experience with complimentary food and beverage service, a dedicated concierge and special tastings with award-winning local wineries on Friday and Saturday. A distinctive dining experience awaits at Parallel 37, featuring globally-inspired and seasonal California cuisine. Getting around is easy, with a House Car offering complimentary service for trips within a 1-mile radius. The historic cable car stops right outside the hotel. 13 miles from San Francisco International Airport, 20 miles from Oakland International Airport, downtown in prestigious Nob Hill, right by a cable car stop.